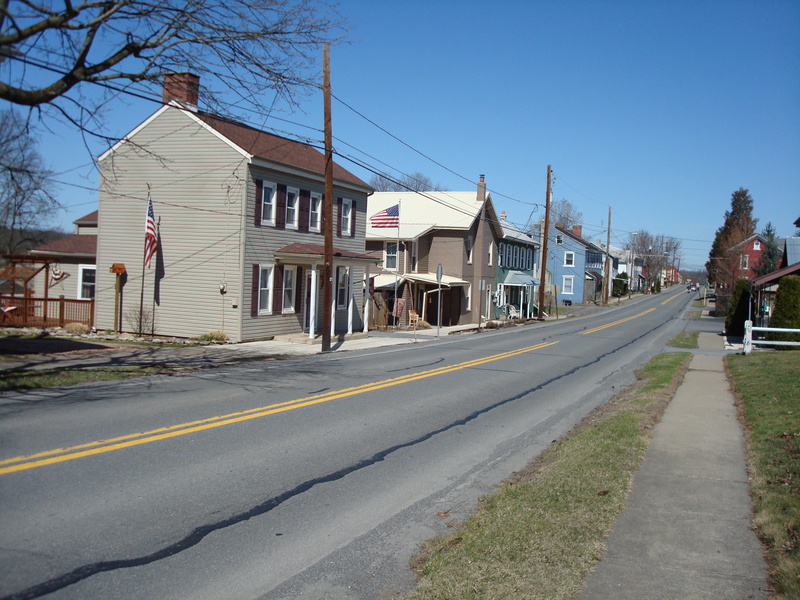 2010 photo of the same section of Main Street, McEwensville. 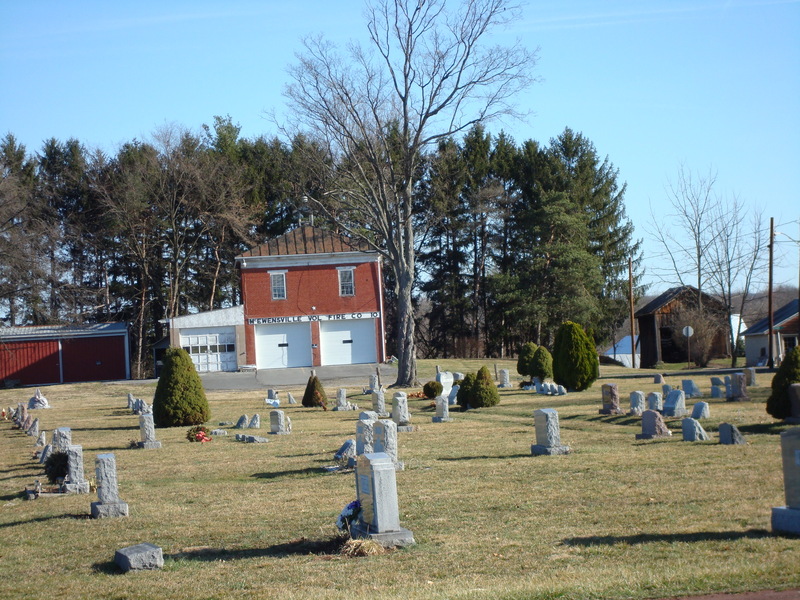 Recent photo of building that once housed McEwensville High School. 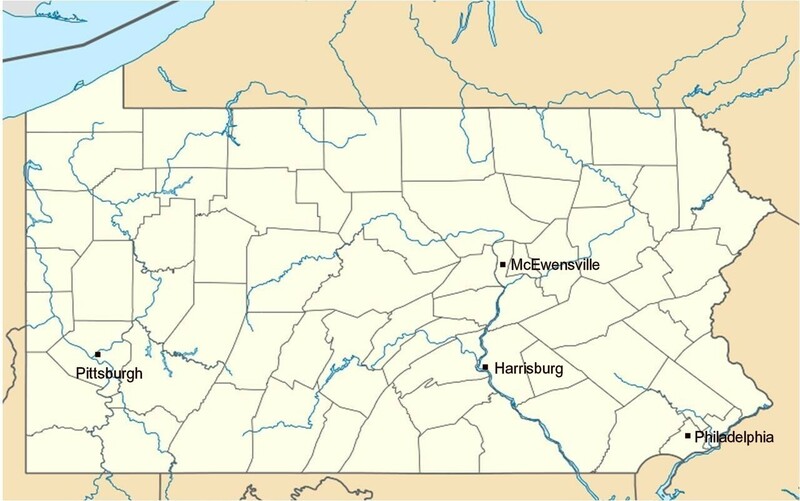 Grandma grew up on a farm near McEwensville in Northumberland County in central Pennsylvania. 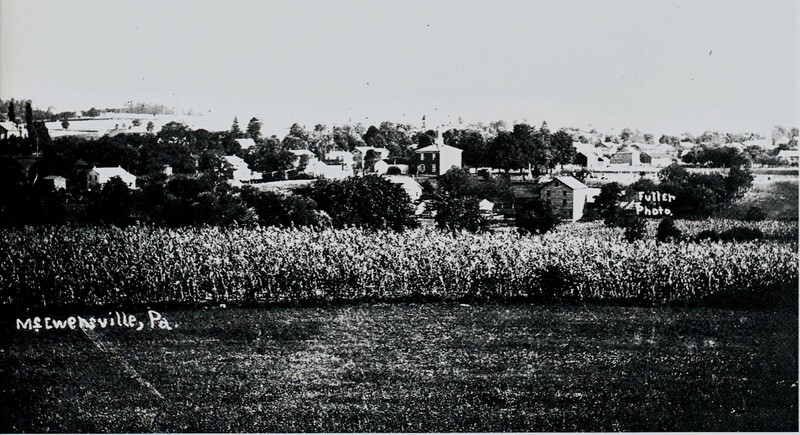 The farm was located in a rolling agricultural valley located between the West and North branches of the Susquehanna River. The hauntingly beautiful Appalachian Mountains loom on the distant horizon. 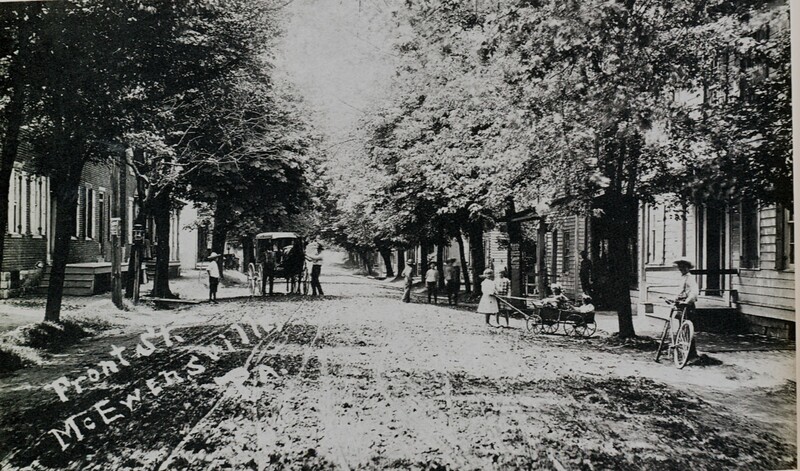 See Old McEwensville Photos for additional photos and information about Watsontown, McEwensville, and Delaware Township: A Real Photo Postcard History. Watsontown Road, the road Grandma once walked to McEwensville, is now split into two dead-end pieces (Raup’s Road and Mill Road) by Interstate I-180. In the late 1960’s the road was moved when I-180 was built. Now the road, Warrior Run Creek, and the railroad tracks all go under one interstate bridge. 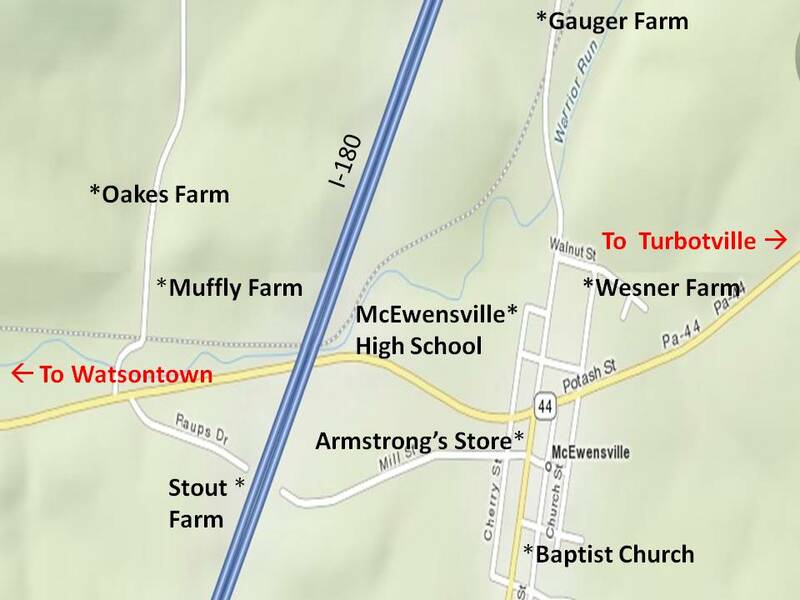 The roads on the map show how it is now, but the identified locations show how it was in 1911. The road Grandma walked to McEwensville now dead-ends at Interstate I-180. I love the way you have set up this diary blog. 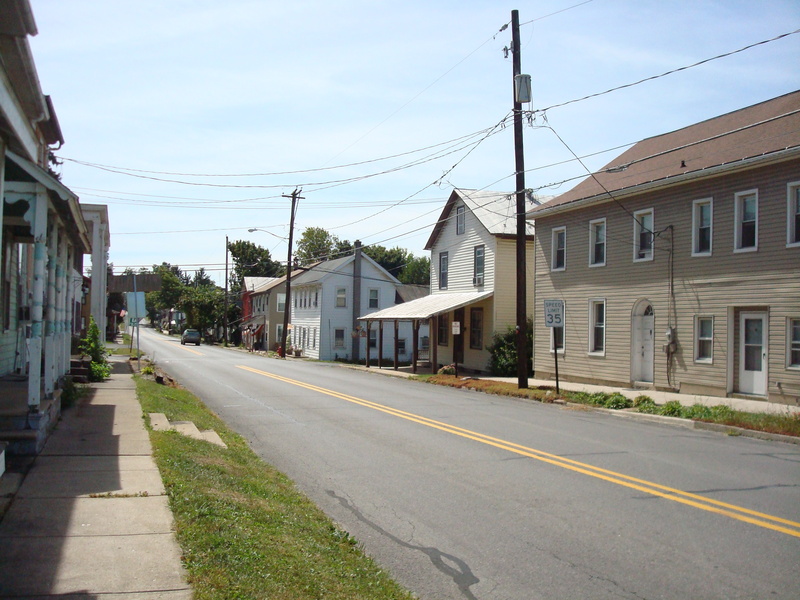 I have always wanted to go to Pennsylvania, one of these days, and do some plein air painting! I love the then and now photos! Robert, I purchased the Washintonville, Anthony, Limestone and Derry Township postcard history. As a newer resident of Anthony TwnShp, I found your book fascinating. You however raised a question that I’ve been unable to have answered. Perhaps you know the answer. What happened to the Saint James Catholic Church in Exchange? 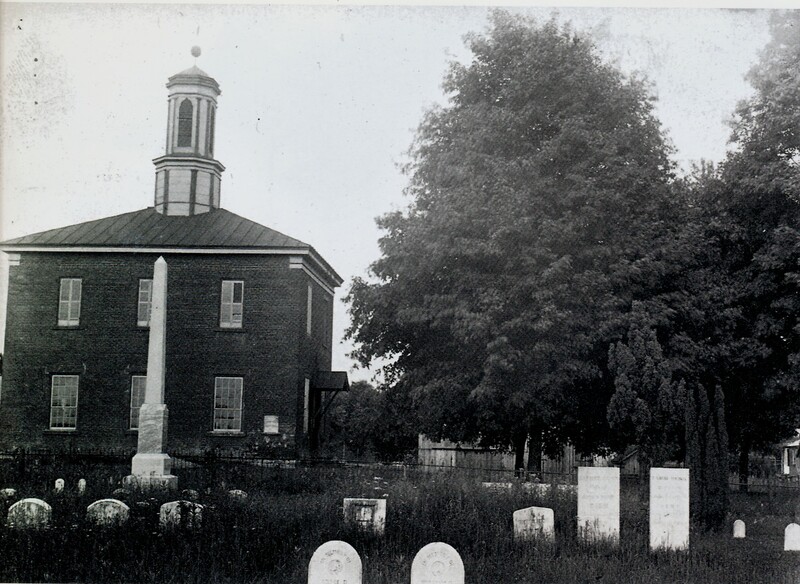 The cemetery still exists but all traces of the church building are gone. The photo on page 79 of your book shows a quite ornate and typical Catholic church of the day. Robert Swope isn’t the author of this blog, but he very generously allowed me to include some of the pictures from his book. I agree that his books are wonderful, and forwarded your question to him. I love the history you show here. I get mesmerised by old photos, just the idea that someone now dead stood where I do. It really really intrigues me. Enjoyed this, cheers. I love the research you’ve done on this to add depth to your Grandmother’s diary entries. I’ve just discovered these posts of yours and am going to catch up on some reading! Thanks for a fascinating snippet from the past.